Motherboards are unappreciated. Unlike a GPU or CPU, a motherboard really gets no credit when it does its job. But a good motherboard is critical to any build. Among its many list of duties, it ensures you can expand your build in the future, and that it’s protected in the present. Even though choosing a motherboard can seem like a complicated mess, having narrowed your selection to the Z390 chipset has already made things much simpler. Because Z390 provides many baseline features, which are shared among every Z390 board. For example, they all have support for 8th and 9th generation Intel processors. Many aspects of the Z390 chipset are worthy of admiration. It can be overclocked by default. It supports more PCIe lanes, USB ports, and SATA connections than the average user will ever need. It has native support for Intel Optane and Intel Rapid Storage. The list goes on. When you start to compare Z390 boards, you’ll find the big differences really play out in small details. How much bandwidth does the Ethernet connection support? How many M.2 ports are there? Are there any extra fan headers? Many of these questions point back to an even more important question. What kind of hardware do you intend to connect to your motherboard? 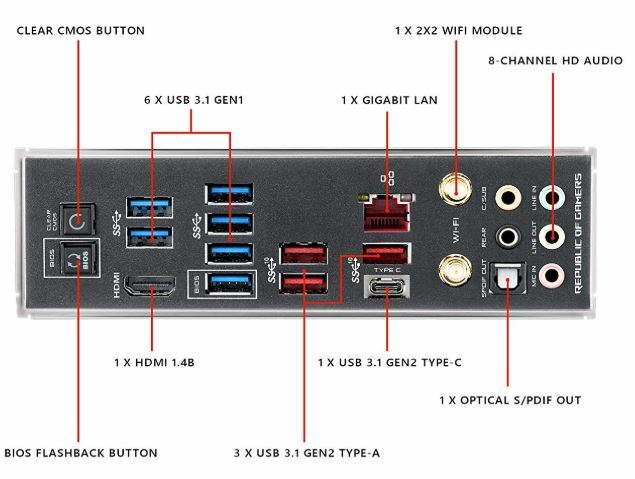 Before choosing a motherboard, it’s a good idea to do a quick review of the total number of ports you intend to occupy. If you don’t have any special requirements, then virtually any of the best Z390 boards will be enough for a typical PC build. It’s where individual needs come into play that you have to start nitpicking. Motherboards aimed at gamers often ship without any video chipset at all. The manufacturer is ready to assume that the end-user will be using their own GPU. And as a general rule, entertainment PCs will indeed use their own graphics card. But if you couldn’t care less about gaming, then all you really need is a video chipset capable of confidently streaming HD video. Depending on its application, workstations may or may not use a GPU. Consequently, it can be worth paying attention to what video chipset is included. Modern audio chipsets are advanced enough that the average user won’t be affected by the quality of the audio chipset. But people who want more than baseline audio will want to pay attention because a high-end motherboard can deliver audiophile grade performance. If you have high-performance headphones, or a multi-channel surround sound setup, then you’re the exception who needs to pay attention to audio chipsets. To put that in concrete terms, if you’re using a $150 pair of headphones or speakers, then you don’t need to be concerned with audio chipsets. When your sound system costs closer to $400, you’ll want to start thinking about moving beyond basic audio chipsets. Finally, you might look at the quality of construction. Amateurs often make the mistake of selecting a cheap motherboard to save a few bucks. The motherboard is one of the least glamorous portions of your PC, but it’s also among the most essential. It determines future expandability of your system, has a say in overall performance, and it’s among your only lines of protection against an electrical incident. You can gamble on cheap boards, but it’s important to recognize you’re gambling with your entire system. 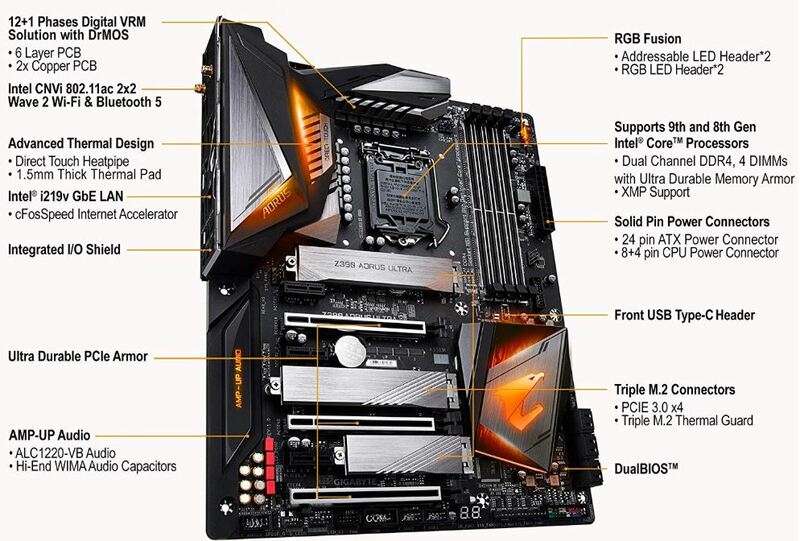 Like any Z390 board, the ASUS ROG Maximum XI Code is designed for 8th and 9th generation Intel processors. Though it’s a full sized ATX board, it’s got an incredibly simple, non-technical aesthetic, and a premium feeling from top to bottom. From the moment you install it, with its pre-mounted I/O shield, to the moment you begin using it, the Maximus XI Code feels high-end. 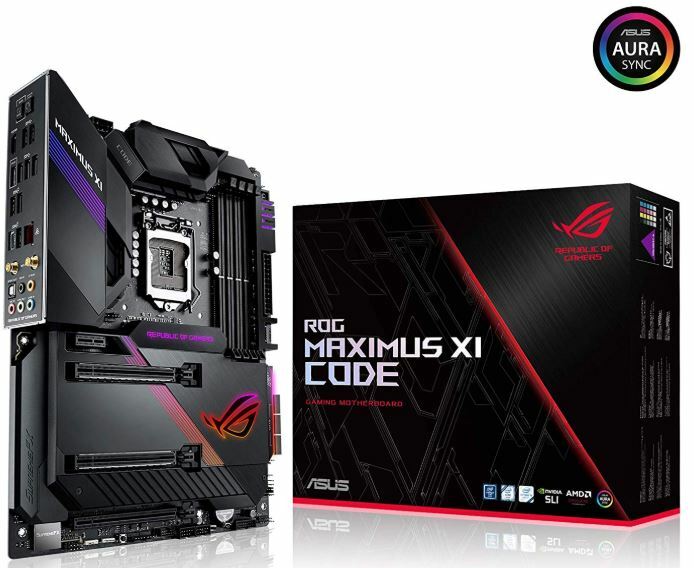 When it comes to audio quality, the ASUS ROG Maximus XI Code spares no expense. SupremeFX audio technology delivers highly isolated audio signals, underpinned by an impressive ESS Sabre DAC. 5-channel and 7-channel sound is supported, along with high grade audio capacitors, and a high impedance headphone amp. Using 802.11ac, the otherwise standard networking chipset is nearly just as strong. That’s because it’s supported with a variety of top-shelf LAN features. Most notably, MU-MIMO and first-packet priority control. As a gaming-oriented motherboard, ASUS did pull their punches when it came time to choose a video chipset. But if your GPU dies and you end up spending a few days playing your games using onboard graphics, you’ll be glad the Maximus XI Code included a reasonably powerful Intel-based graphics chipset. When your motherboard is hanging horizontally, your GPU is placed at a 90° angle against the board. Its weight supported by very little, which creates a mildly hazardous situation. That strain can be partially alleviated by securing your card with a screw during installation. The two included PCIe slots both use ASUS SafeSlot technology. The idea behind SafeSlot technology is simple, it secures your card as though it were cemented in place by physically holding up more of the card. 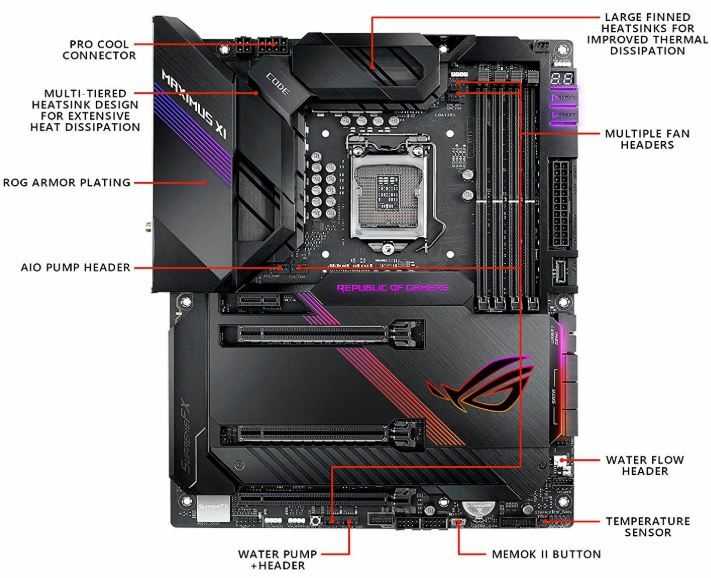 And you see features like that littered across the board, making the ROG Maximum XI a rather unique mixture of design. On its standardized side, you’ll find this board delivers the typical 4 RAM slots, as well as the typical 64GB memory limit. On its unique side, you’ll find the ASUS OptiMem II feature can provide stable and automatic overclocking for your RAM. Returning to standard, you’ll find more than half a dozen USB ports, the usual range of audio jacks, a pair of M.2 connections, and a USB 3.1 port. You can also find a slew of water cooling headers adjacent to the Cross Chill EK III water block, which allows you to monitor temperatures without installing a standalone controller. Water cooling options are also joined by four additional fan headers, all of which is supported with ASUS cooling optimization system. This allows your motherboard to automatically overclock your system, and also deliver smart-administration of your cooling system with Fan Xpert 4. Like all recent gamer-based releases from ASUS, the ROG Maximus XI Code includes wide support for Aura Sync RGB lighting. There are even additional connection headers set aside specifically for other Aura Sync products. Additionally, all ASUS motherboards carry a 3-year warranty. For the most part, the Taichi Ultimate Motherboard lives up to its name. 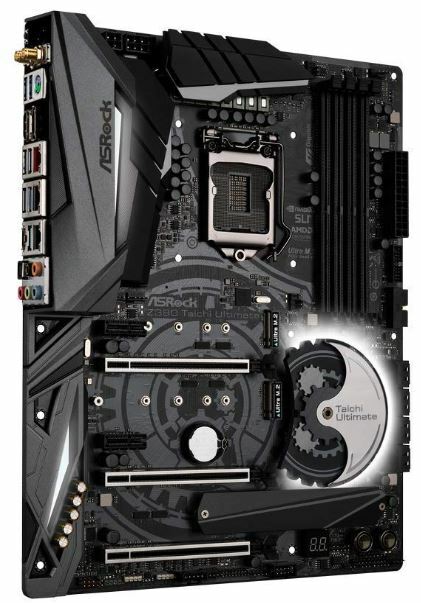 While you could certainly use this motherboard for a gaming system, the design of the board heavily suggests it’s intended to be used within a workstation. 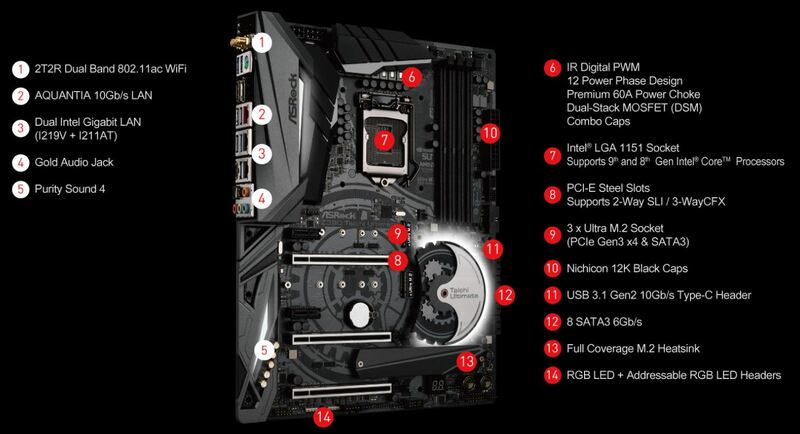 But what really distinguishes this board as one of the best Z390 motherboards is its truly impressive wireless chipset. At the core of the Taichi Ultimate Motherboard is a tremendously powerful AQUANTIA AQC107 chipset, supporting an incredible 10 Gbps bandwidth. On the wireless front, 802.11ac dual band wireless allows the board to deliver wireless speeds up to 1733 Mbps. Moreover, there’s support for Bluetooth 5.0 and MU-MIMO, making this one of the most capable networking chipsets on any motherboard to ever exist. Turning to audio, the built-in Realtek ALC1220 chipset has its ups and downs. It delivers 7.1 channel sound, and supports higher levels of volume than you might otherwise expect. Listening to the quality of the sound, there’s certainly no room for complaint. However, the default microphone output of from chipset is quite low. You may need to considerably raise microphone gain. Finally, the video chipset is actually a bit impressive. Intel UHD graphics backed with DirectX12 support puts few limitations on what you can do. Dual graphics output is supported through HDMI and DisplayPort 1.2, both using independent graphics controllers. Using the DisplayPort alone, you can draw 4K resolution at 60Hz. In other words, this video chipset outperforms some full-sized GPUs! The Taichi Ultimate Motherboard provides three PCIe 3.0 x 16 slots and two PCE 3.0 x1 slots. It offers a single HDMI port, Thunderbolt AIC connector, PS/2 port, and DisplayPort. There’s a total of eight SATA connections and eight USB ports, as well as six fan headers, a pair of RGB LED headers. There’s really only one unusual thing to notice about the included input ports, and that’s the total of three RJ-45 LAN ports. Having three ports is actually essential to allowing this board to deliver its full bandwidth capabilities. Some of the M.2 connectors share lanes with some of the SATA connections. If you intend to use literally every port and lane on this board, you’ll need to design around that limitation. That aside, the Taichi Ultimate is transparently impressive. And ASRock includes a 1-year warranty. 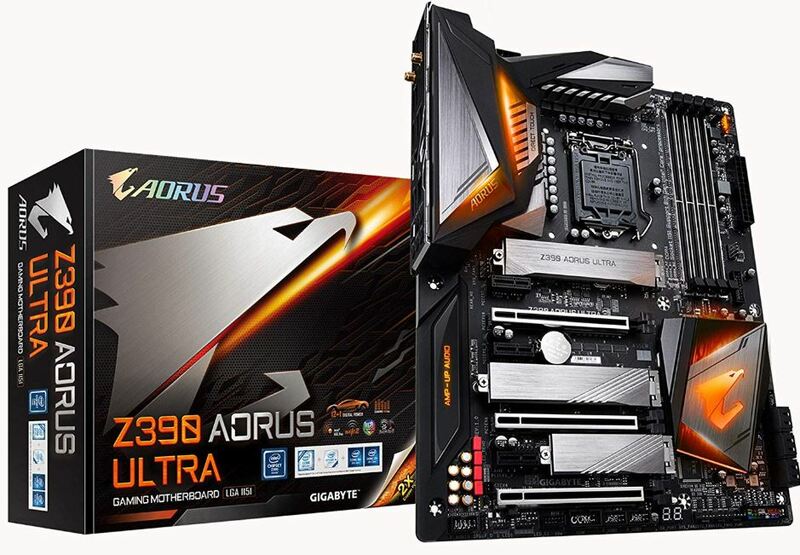 Gigabyte is among the most trusted names in the motherboard industry, and their Z390 AORUS Ultra is at the top of the AORUS line. From a glance, this motherboard has all the essentials. That includes the typical four RAM slots, and the typical 64GB memory limitation. The AORUS Ultra doesn’t move far beyond essential features; it instead works to deliver excellence among those essentials. It works to ensure details are done correctly, from perfectly positioned fan headers, to making certain none of your components seem too cramped together. The onboard video chipset is minimalistic, it’s a basic Intel HD graphics chipset. It technically can handle 4K resolution when reduced to 30fps. That’s the framerate of most broadcast material, which isn’t terrible. But certainly not gaming-grade performance, especially in consideration of the included 1GB shared video memory. The included audio chipset is a Realtek ALC 1220-VB codec, supporting up to 7.1 channel audio. Those multi-channel capabilities are also reflected in the S/PDIF optical audio headers. While this chipset is towards the lower-end of audiophile quality, there’s no question it can confidently deliver on HD audio. Finally, the LAN chipset is basic Intel technology. It supports a wired Gigabit connection, backed by 802.11ac dual-band wireless. Given optimal conditions, the wireless can deliver 1.73 Gbps. As if dual band wireless hadn’t covered enough ground, the Z390 AORUS Ultra also includes support for Bluetooth 5. The AORUS Ultra uses three PCIe slots: x16, x7, and x4. There are three PCI Express x1 slots, and three M.2 connectors ready with SSD support. Four fan headers provides adequate options for cooling, but certainly does not go above and beyond. There’s a ridiculous amount of support for USB. There are five USB 3.1 ports, three Type-A Generation 2 USB ports, a pair of generation 1 USB 3.1 ports, and four USB 2.0 ports. That’s a total of 14 options for USB at your disposal. There’s also a single HDMI port and RJ45 port. 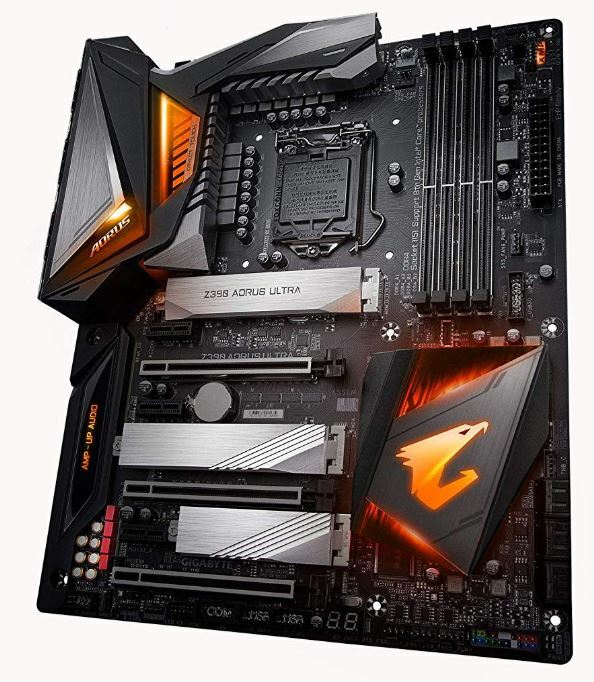 As with the Taichi Ultimate, the PCI x4 slot on the Z390 AORUS Ultra shares lanes within its M.2 connections. That shouldn’t be an issue unless you plan on occupying literally every lane in the build, which seems more likely to occur with the Taichi Ultimate than with the AORUS Ultra. And as with the ASUS ROG Maximus XI Code, Gigabyte offers a 3-year warranty on the Z390 AORUS Ultra. 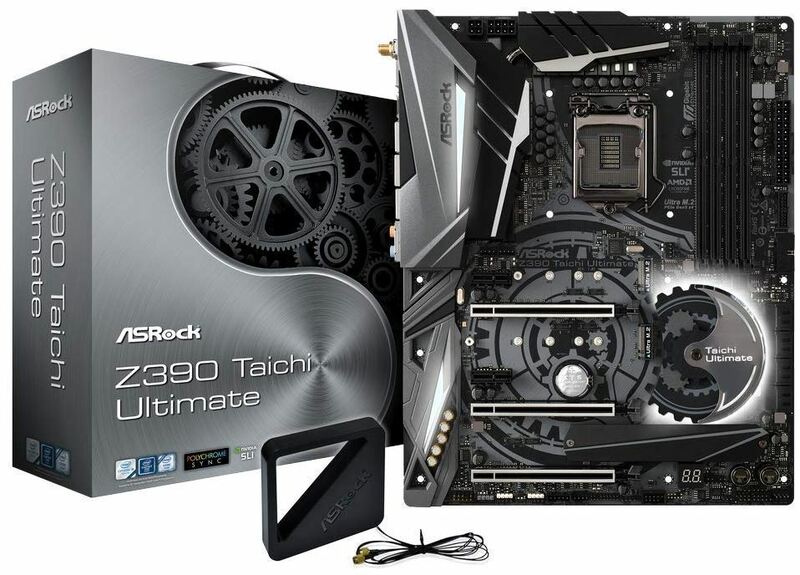 The ASRock Z390 Taichi Ultimate is oriented for workstations, but is just as adaptable to gaming. It has an absurdly high number of SATA connections and M.2 ports, and the best Internet connectivity options of the bunch. It’s a great choice for either a professional workstation, or for someone who’s building a machine that’s nearly powerful enough to act as a small server. The Gigabyte Z390 is a fully loaded, but budget-conscious selection. It brings responsive Wi-Fi and Bluetooth to the table, and its audio chipset is a solid step beyond passable. The video chipset is weak because Gigabyte anticipates you’re going to use a GPU with the motherboard, which actually brought down the price of this board considerably. It’s a solid choice for almost any gaming or entertainment PC. 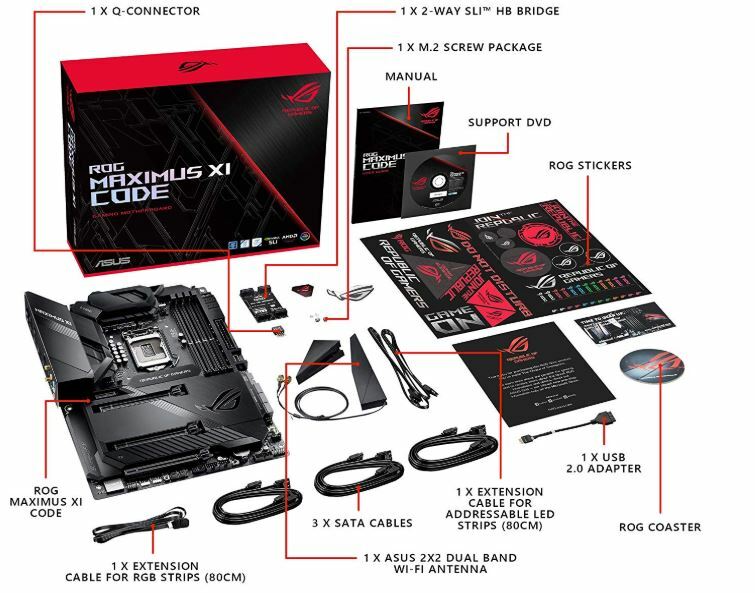 Finally, the ASUS ROG Maximus XI offers almost everything you can put into a single motherboard. Many people will consider the result truly impressive. Its construction is rock solid, its cooling options have been optimized and streamlined, and even its BIOS has been reworked for ease of use. If you want a top-shelf motherboard with all the bells and whistles, look no further than the ROG Maximus XI.